Based on Jonny Steinberg's book, A Man of Good Hope tells the true story of a young refugee's journey through Africa. 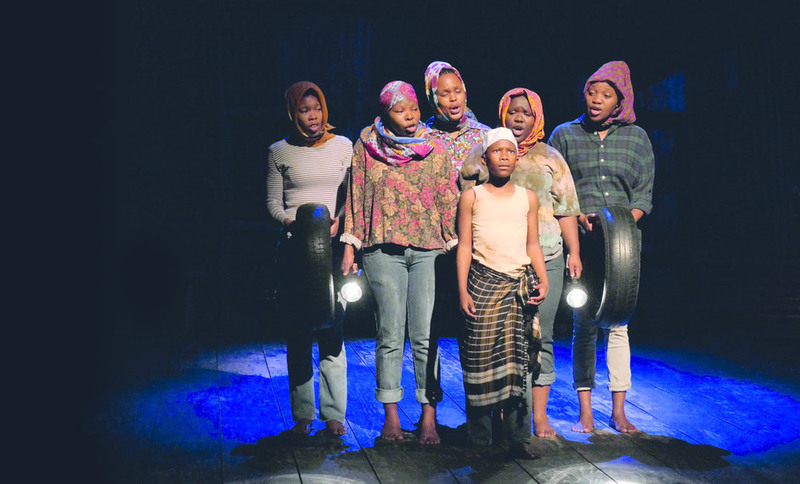 Directed by Mark Dornford-May, Artistic Director of the award-winning South African theatre company Isango Ensemble, the show - part opera, part musical - is staged for the first time in the Linbury Theatre. It received its UK premiere at the Young Vic in October 2016 when The Independent's review gave it four stars and said it's, "an inspiration in its open-hearted resonant appeal for mutual respect and understanding". What are the best dining options near Isango Ensemble: A Man Of Good Hope London? Isango Ensemble: A Man Of Good Hope gyms, sporting activities, health & beauty and fitness. The best pubs near London Isango Ensemble: A Man Of Good Hope. Isango Ensemble: A Man Of Good Hope clubs, bars, cabaret nights, casinos and interesting nightlife. Where to have your meeting, conference, exhibition, private dining or training course near Isango Ensemble: A Man Of Good Hope. From cheap budget hotels to luxury 5 star hotels see our discounts for Linbury Theatre hotels, including Strand Palace Hotel London from 85% off.